One of my favorite things about this sew-along has been meeting new people that love sewing as much as I do. When I saw Rochelle's Meringue skirt at the beginning of the sew-along I knew that she had awesome style. What I didn't know was how much I would look up to her! I'm so lucky to have such a friendly, talented, and inspirational lady as my new friend. Thank you for sharing your "Licorice Twists" with all of us! 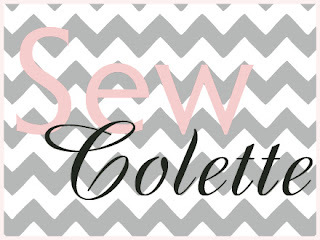 First off let me express my supreme sadness for the fact that this is the last project in Sew Colette. Can you believe it’s been FIVE MONTHS?!? Crazy! Thank you Sarah, and Erin, for making this sew along possible, and giving me the opportunity to meet such amazing/creative/positive women. It’s been a blast! 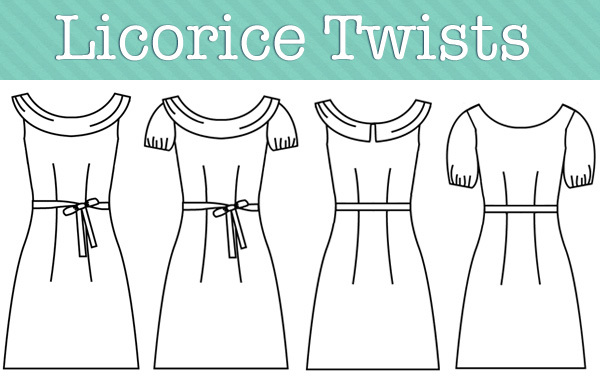 By the end of this post, I hope to have sparked some ideas for you to add your own “twists” to Licorice. 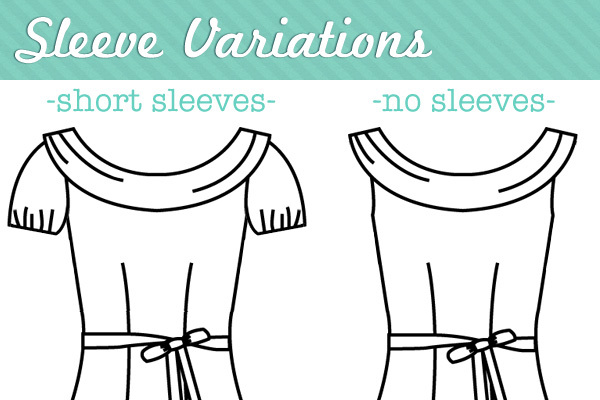 One of the easiest modifications you can make is to pick a non-typical fabric! The Licorice Dress as shown in the book is a bit too formal for me to wear every day. I often find myself using cotton varieties for all my projects because it comes in a vast array of colors, prints, and weights to choose from. Not to mention it’s a sure fire way to make a garment a little less party, and a little more practical. 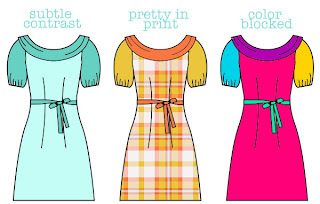 Try playing with different color and print variations for a fun and easy modification without any actual alterations to the dress pattern itself. 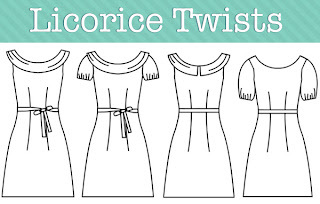 The collar on this dress also gives you a lot of options to make the Licorice your own. 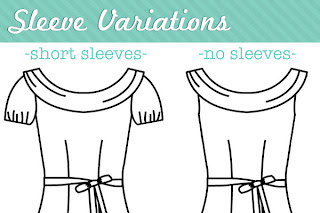 Or you can simply remove it more a more streamlined look! 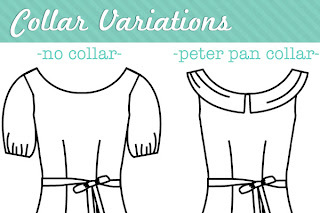 Try using the same split collar piece for both the front and back of the dress to give you a cute peter pan style. 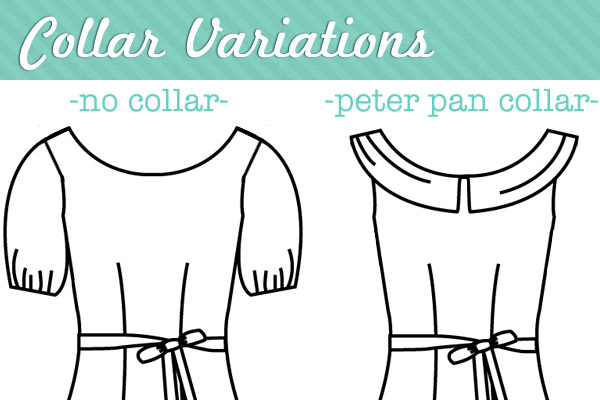 How about a collar made of lace or eyelet fabric? Very chic! Last but not least, don’t forget all of the small details! 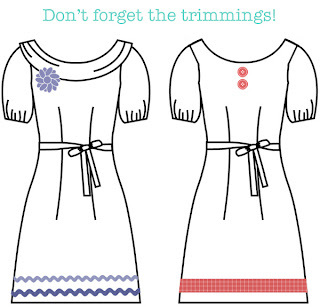 Adding a few buttons or some ric-rac is a great option for those who are little hesitant to start slicing and dicing their pattern pieces for something other than a size adjustment. I’m sure most of us have some extra trimmings laying around in our sewing stash just waiting for love. You can always pin or baste your extras before committing. 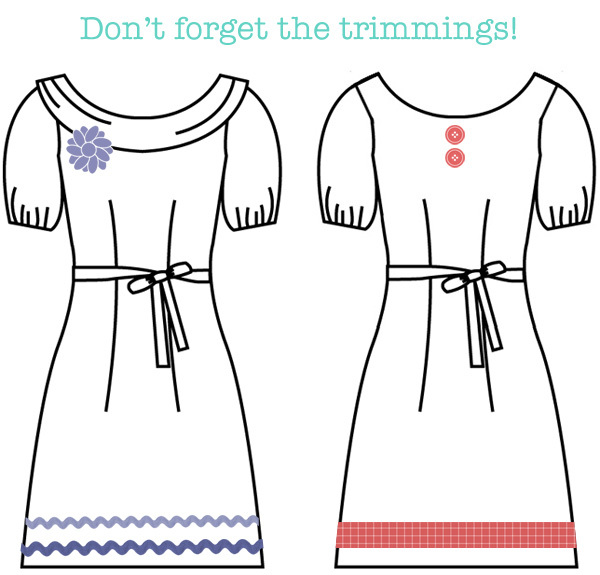 If you have a fancy computerized sewing machine, try some decorative stitching around the hemline. Embroidery fans can show off their skill with some awesome embroidered details on the skirt or neckline. The possibilities are truly endless here! Do you have any mods planned for Licorice? Go for it! I look forward to seeing what everyone comes up with. Great post! 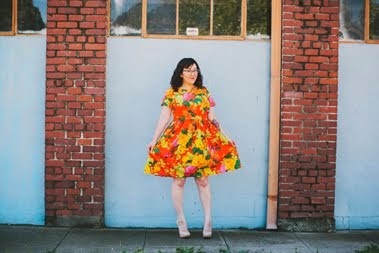 I honestly was debating participating in this leg of the sew along because I wasn't sure how I could make the pattern work for me, but your post gave me some great ideas! Cute ideas! 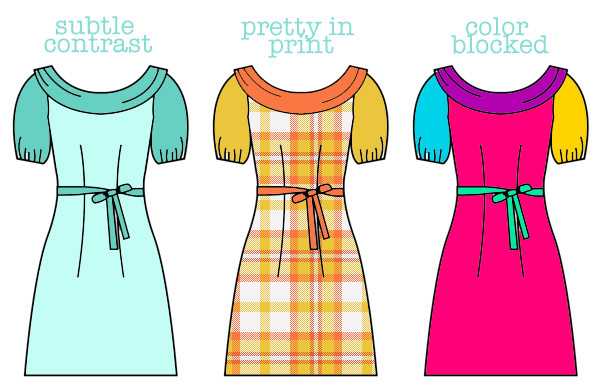 I wasn't a huge fan of the original version of this dress, but I like these suggestions! I've got some alterations cookin', but we'll see how they play out, I guess!